Abstract: A cool summer equals to an air conditioner plus house couching? No! 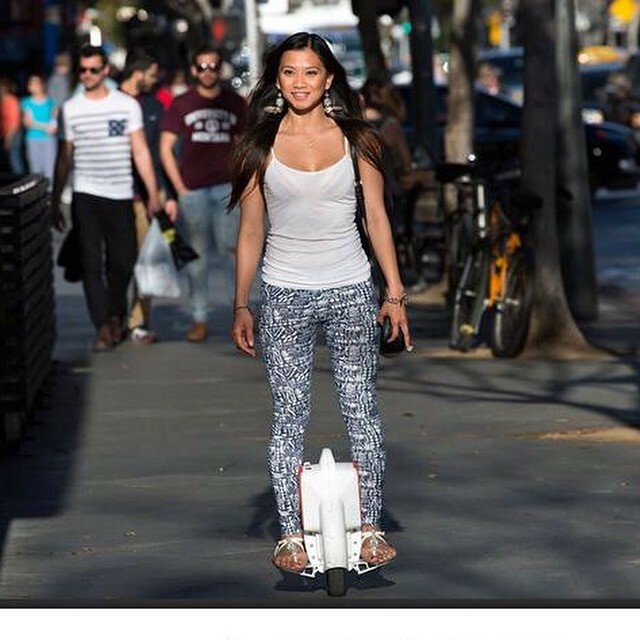 Airwheel electric self-balancing scooter is going to lead its users to experience a cool summer in different aspects. Conventional transportation tools like automobiles and bicycles have their own limits on solving this problem for city dwellers. Automobiles are the first option for almost all of the city dwellers since they are used to traveling with an automobile every day. But it takes too much time for people to drive an automobile to get through the traffic jam. Taking bicycle is seemingly a better choice compared with driving automobiles. But the energy saving is also a big issue for city residents who lack of exercising due to the busy working life. It is unimaginable for a city dweller to drive several hours every day to go to the office. In wild travelling, it seems not bad for the cooperation between an automobile and a bicycle while most of the bicycles are too large to be packed into an automobile. Considering about the inconvenience mentioned above, it is rather difficult for city residents to have a cool and comfortable summer. The advent of Airwheel is to help people solve this problem. For commutation trip, Airwheel A-series is the best choice with its tiny structure, strong power and driving flexibility. For daily exercise and relaxing, Airwheel Q-series is the best option. Q-Series unicycles are designed specifically for young sports lovers. For wild travelling, the best proposal would be S-series. The operating flexibility and driving convenience are of great help for sports lovers to go traveling in the wild. As the hot summer is coming, Airwheel electric self-balancing scooters are striving to help city residents to have a cool and comfortable summer. Previous：What Will Be the Breakthrough of the City Transport? Airwheel Intelligent Scooter.